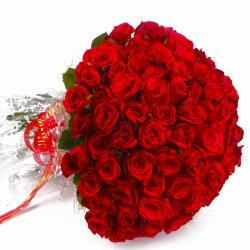 Product Consist : 75 Red Roses with green fillers in Cellophane Wrapping with Ribbon Bow on it. 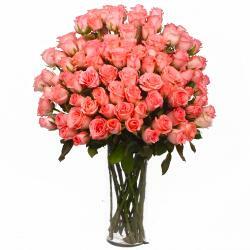 Make all their wishes come true once they receive a bright mesmerizing bunch of flowers from us. 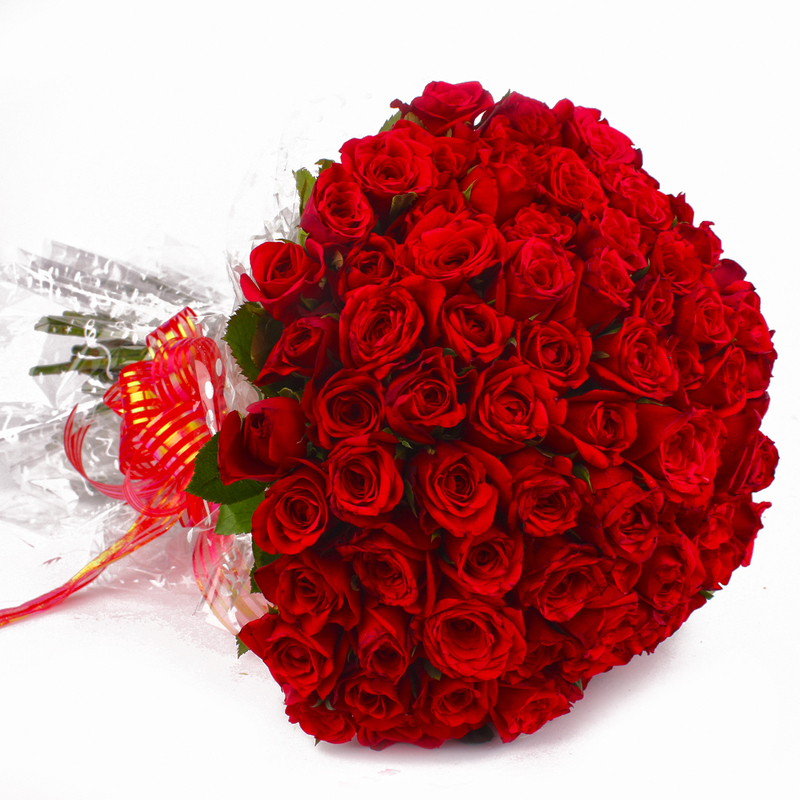 Get a cheerful bouquet of 75 Red roses beautifully packed in cellophane and completed with mix colour ribbon bows and make it special for someone. 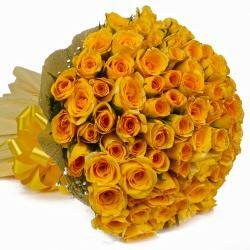 Ideal gift for friends and family on their Birthday, Anniversary, Engagement, Pongal, Teachers Day or any other special occasion. 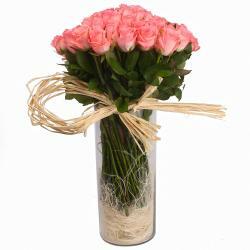 Product Contains : 75 Red Roses with green fillers in Cellophane Wrapping with Ribbon Bow on it.